May has been a whirlwind month for me and also one of the saddest month in my life. When I think of May 2017 later in my life, I’d think of how awful it has been because it’s honestly overwhelming. I’m overwhelmed this month and sad and disappointed and tired and I need just one day to unwind and be gone. To start of my May, I got hospitalised for suspect dengue for a few days after having the most terrible fever I’ve ever had. I felt like I wanted to die and it sure did look like I was. I talked all about it here and honestly it’s not that fun to read. I just wanted to upload it online so I can go back to May 2017 archive and reminisce the time I got warded for the first time. My dearest grandmother died and I’m deeply saddened by her death. On May 9th, my dad brought her to the hospital because she had trouble breathing. It turned out that her left lung was full of liquid and she had to be referred to another hospital. My brother, my dad, and I sent her to the emergency and I waited with her until she saw the doctor. She had to be warded and I stayed with her in the emergency section while waiting to be warded and that was the last time I saw her alive. I don’t have any grandparents left and to be honest that’s just sad. I will move on from her death, I know I will but for now, I’m just going to cry myself to sleep or in the shower or anytime I’m reminded of the moment where she had her last bath and wudu’ and of the last time I kissed her cheeks and forehead before they covered her whole face with white cloth. I wrote one post about our brunch here and at this moment, I’m so glad that I brought my camera along and took her picture and wrote about it on my blog. 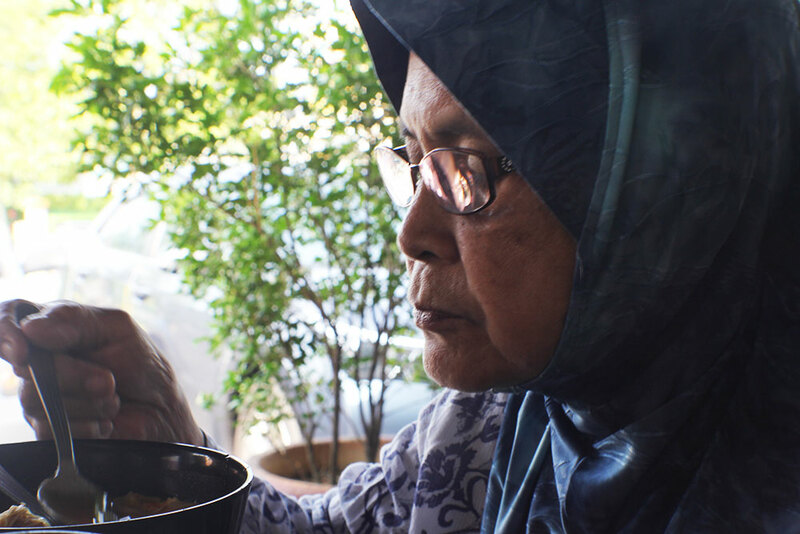 Al-fatihah, nenek. Kakak sayang nenek. I’ll be seeing you in the Hereafter. I don’t know about your university but in mine, the last month before final exam is going to be hell as every lecturer for your classes will want you to submit 45676543 assignments and projects in the same week and you basically have no day to relax. The reason why I’m able to write this (duh, if you’re already reading this on my blog) is because I HAVE SUBMITTED ALL THE COURSEWORK NEEDED FOR THIS SEMESTER, YAAAAAY! Well, except for one more project this Friday but that’s a flashmob so I don’t have to spend countless hours on a blank Word document because you know the struggle, am I right? Anyway, I already have the dates for my final examination. I have TITAS paper on June 5th, SLA and Civic Education paper on June 8th, ELTE paper on June 9th and ELCD paper on June 13th. I can’t believe that this semester is coming to an end! I went through a lot this semester and to be honest I kinda like it even more so after taking a whole year doing absolutely nothing at home. I needed that break so much and now I no longer feel like I am forced to finish my study. I hope everything goes well for my final exam, fingers crossed! I hope I can get back in the swing of things really, really soon. I can’t wait for my semester break albeit for two weeks only but my next semester is a short one (8 weeks of lecture class) and I can’t wait for it! I love short semesters although the hour of classes per week is more than long semesters but one semester down in merely two months? I’m down for it!